There’s a growing do-it-yourself movement among artists, which has led to some great stuff to experience but also means there’s a lot of noise to cut through. Filtering through all the choices to find what you want can be daunting, but there are those rare times you discover a gem that really finds purpose and captures the imagination, like an anthem of sorts. New Jersey–based Elephant Fire’s debut LP, Natural Heart, is one of those gems, and it’s come along at the right time. Free-spirited and just plain fun, Natural Heart braces the line between being a lean, grooving indie album and a rallying cry for those who are immersed in the ongoing struggle to preserve the country’s parks and national monuments from threatening plans and policies from the Trump administration, which includes the president’s executive order to have the Department of the Interior review all designations of national monuments larger than 100,000 acres that have been created since 1996. (That review has since culminated in the interior secretary recommending that some of the targeted locations be shrunk and significant changes be made to others.) Though Wall and his band don’t play a sonic agenda that openly addresses politics, their album is a beacon of how the earth directly inspires artists like them. It also comes out in between the National Park Service celebrating its 100th birthday in 2017 and the National Wild and Scenic Rivers System, which protects the nearby St. Croix River, its 50th in 2018. One track that really captures Wall’s journey is “It’s Rising,” which drew inspiration from Sequoia National Park. “When I was walking through the sequoias, I thought to myself, ‘Huh, I wonder what would people do if money wasn’t a thing?’” Wall said, reflecting on that constant mental image influencing the song. “I was like, ‘I bet you can take one of these giant sequoias and turn it into a huge slide.’” That song and six others—including the title track—comprise the fast-punching album, which is only available digitally through services like iTunes, Spotify, and Bandcamp for the time being. Wall, his brother (guitar), and bandmates Zac Colwell (bass) and Dave Heilman (drums) hope to scrape enough funds together to be able to make the album available on vinyl soon. With money and time to tour being sparse—the band members all play in other groups in addition to Elephant Fire—the group has an uphill struggle to gain traction, but the front man is optimistic for the future of rock and its artists. “There’s hope for the music industry,” Wall said. “There’s hope for themselves. There’s artists that play what they like to play, and it’s not like a bunch of homogenized radio pop. 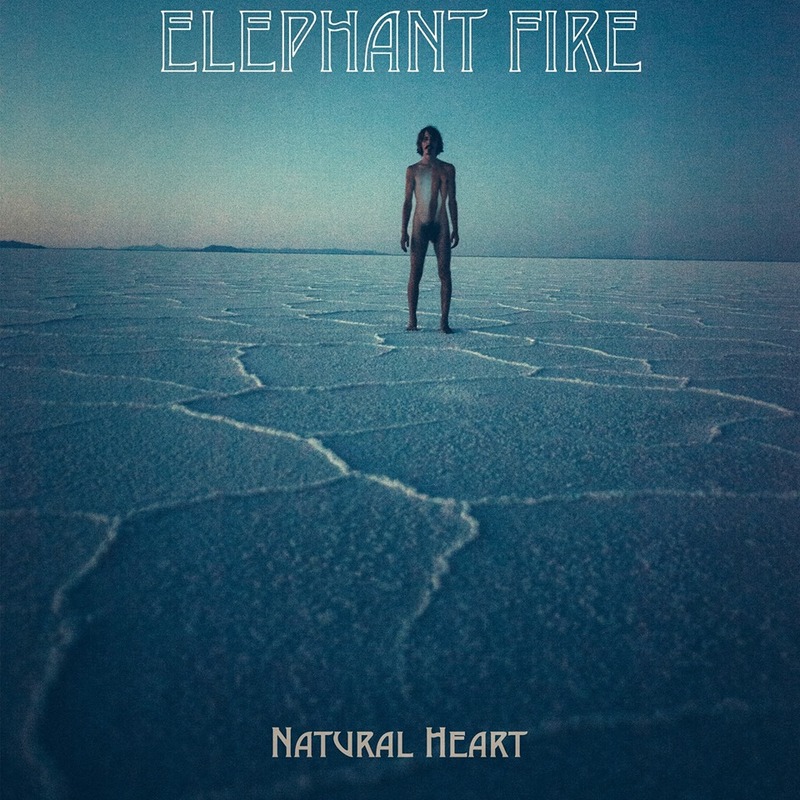 There’s so much good music out right now.” Though there’s clear inspiration from the Beatles and even Led Zeppelin on Natural Heart, there’s nothing uniform about Elephant Fire’s inspired and timely album. Follow @TwinCitiesGeeks on Twitter or Like Twin Cities Geek on Facebook for more great stuff from Minnesota geeks in your feed! When Paul isn’t at concerts, watching movies, or reading books and comics, he can be found working on his latest fiction draft or playing his Fender. He is a graduate of Pacific University’s MFA program in Oregon and lives in Woodbury. Can’t wait to check this out! Here’s one you might not have heard of: The Rapture Twins. Video game-inspired music made by Minnesota’s own Justin Pierre from Motion City Soundtrack and Andy Reiner of Game Informer. Their first two singles are excellent. If you enjoy content by Minnesota geeks for Minnesota geeks, donate a couple bucks to help us pay for web hosting! Or shop on Amazon using our links! Subscribe to Twin Cities Geek and receive notifications of new content by email.